Please join us for an after-hours private tour of the Foreign and Commonwealth Office which was designed by George Gilbert Scott and Matthew Digby Wyatt in 1868 as ‘a kind of national palace or drawing room for the nation’. Central to the new building was the India Office, with the exotic Durbar Court, first used for a reception for the Sultan of Turkey. The tour will be led by expert, Kate Crowe. Please get in touch for more information and to register. If you are unable to attend this but have made travel plans to the UK for later in the year, please do get in touch as there are other events which may be of interest. 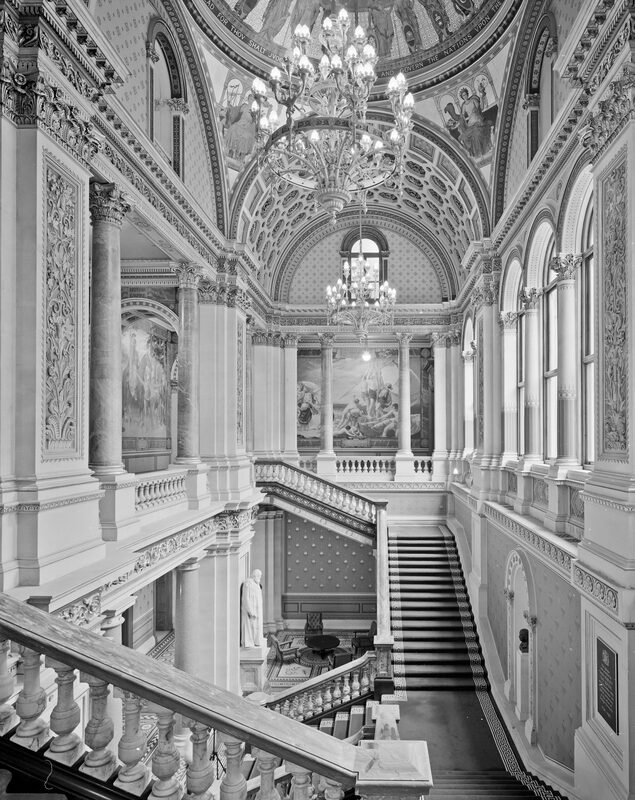 The state stair in the Foreign and Commonwealth Office at Whitehall, London was designed by Sir George Gilbert Scott (1811-1878) and Sir Matthew Digby Wyatt (1820-1877) and was completed in 1868. © Richard Ingle / RIBA Library Photographs Collection. July 10, 2015 in Events.